This year has been a crazy amount of rain for Southern California due to it being an El Nino year. With all the rain, comes the super blooms in the desert! 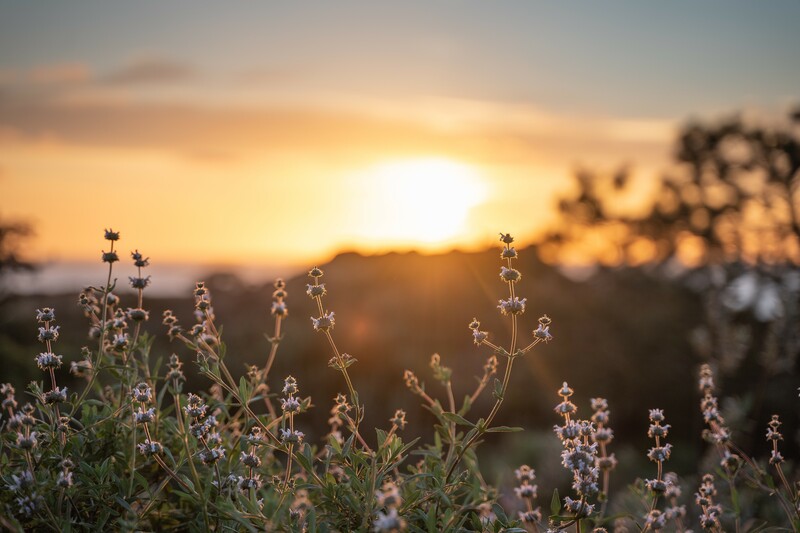 While most people are out trekking and destroying the poppy fields in the desert, there are a number of other awesome places in Southern California where you can enjoy the views created by all the wildflowers popping up everywhere! 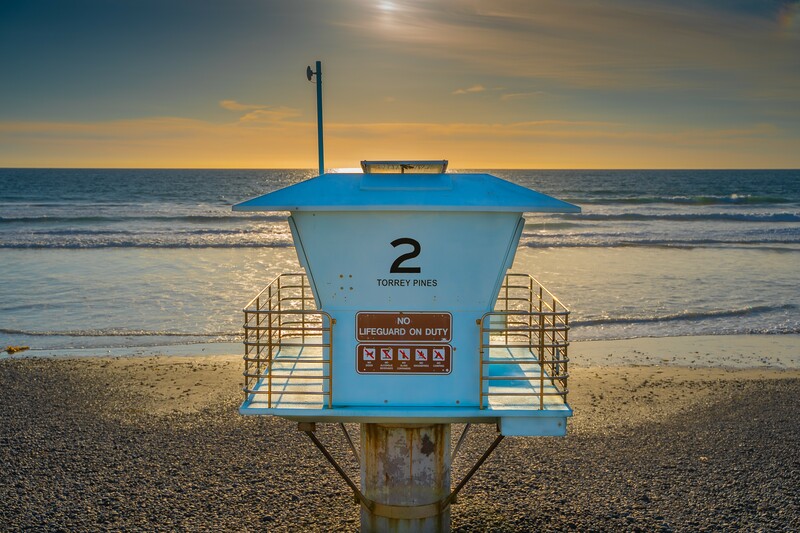 Torrey Pines has become one of my favorite quick day hikes in the San Diego area, and recently its beauty has exceeded itself due to all this rain! 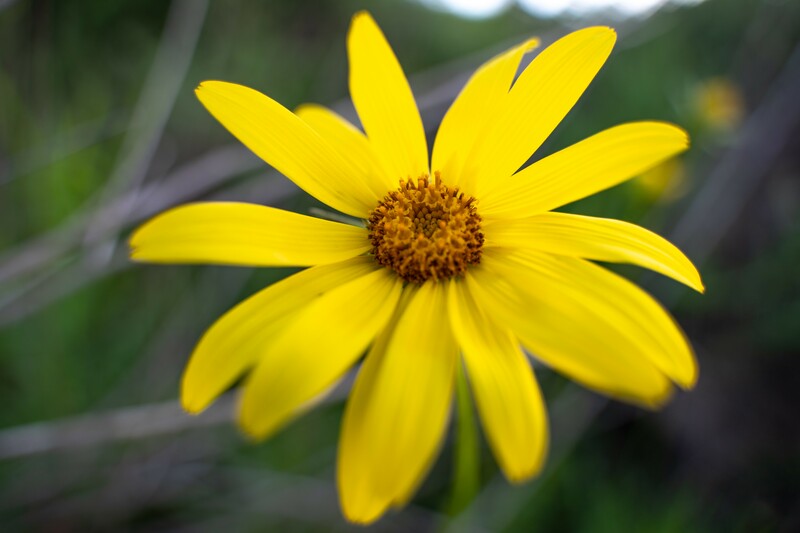 Torrey Pines has become super green and has sprung up some amazing flowers! In addition, the trails are always well kept, and roped off so there is no way you will destroy the beautiful flowers as long as you stay on the marked trails! 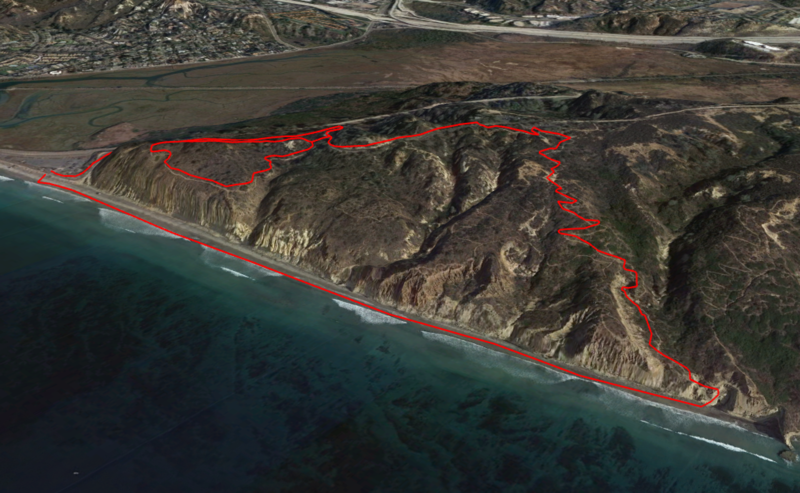 Torrey Pines is a great 3-mile day hike depending on where you start. The state park has pay parking for $25 located here. If you want to pay a little less there is another pay lot located here with a little bit more walking involved to get to the start of the hike. If you are like me and do not want to pay for hiking there are two great places you can park. The close spot is along the beach just north of the first pay lot and can be found here. The free parking along the beach tends to fill up rather quickly though, especially if you go any time near sunset. There is more free parking along Carme Valley Road, but this adds a little bit more to the hike also. I tend to usually park along Carmel Valley Road, its the least stressful for finding a spot. 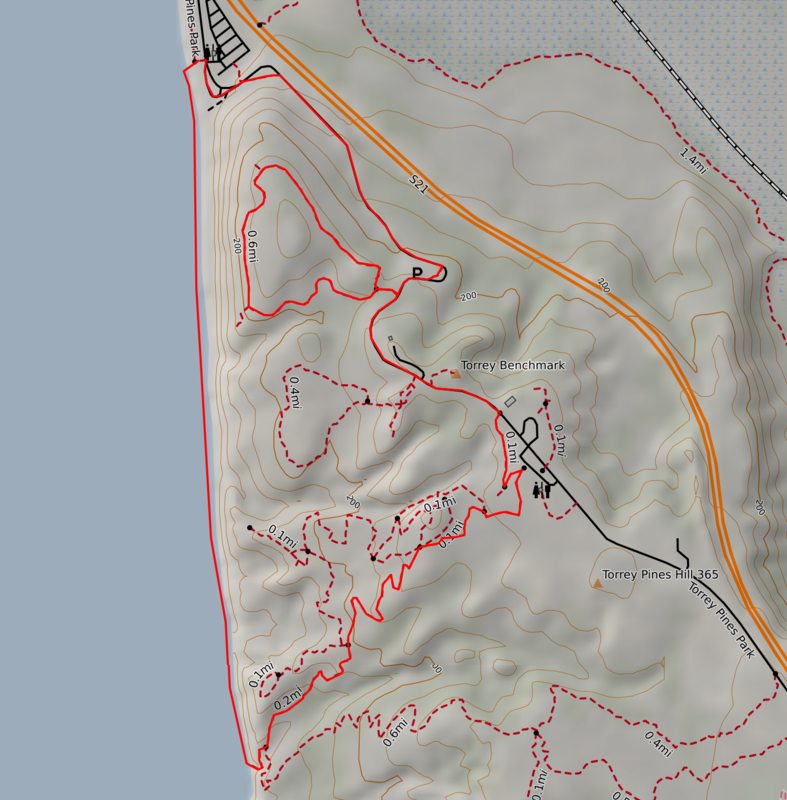 The Caltopo map can be viewed and downloaded here. Once I park I usually head over to the park entrance and start at the road, following the path which hugs Torrey Pines Park Road. 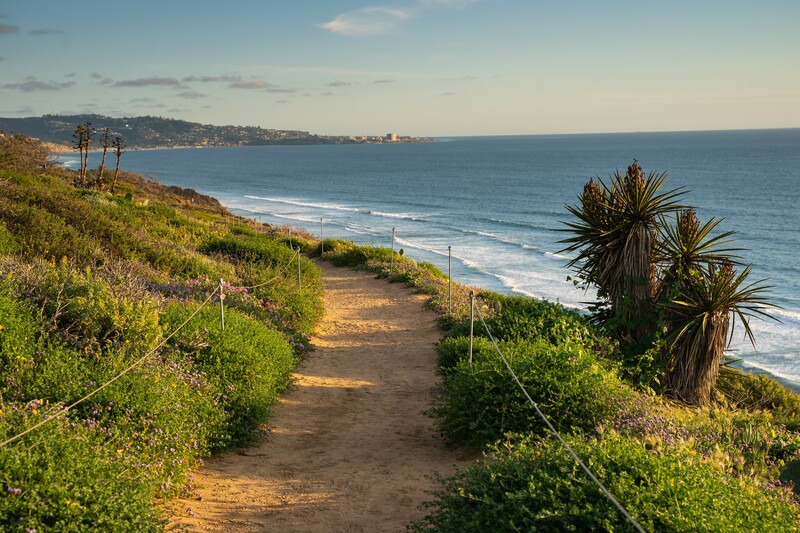 The path winds you up the backside away from the beach toward the top of Torrey Pines. 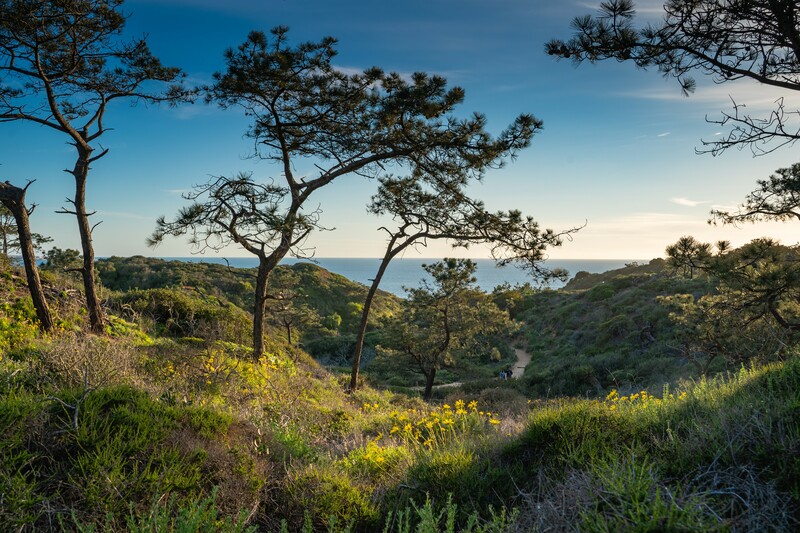 The hike is moderately steep, and you can easily stop and look back over your shoulder to catch your breath as you slowly rise above the beach. 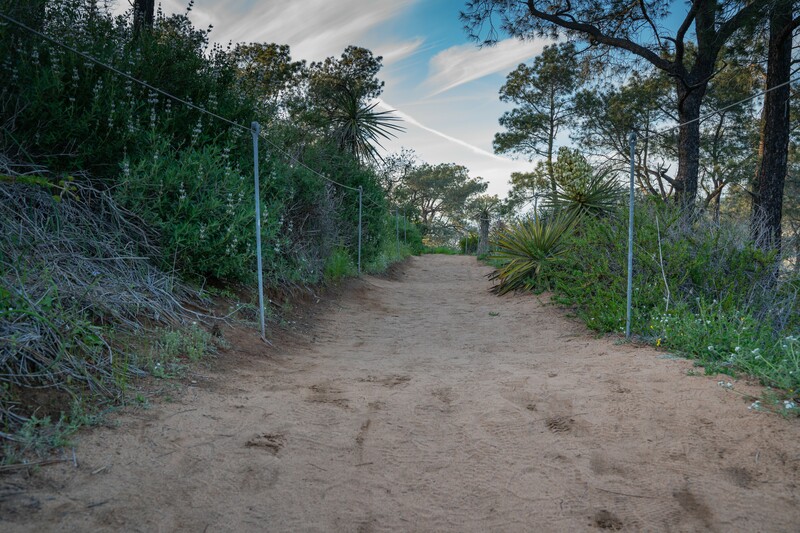 If you are taking the path hugging Torrey Pines Park Road up the hill the first real trail entrance you will see if the Guy Fleming Trail. The Guy Fleming Trail is a short loop, that I highly recommend taking especially after all this rain, it has some amazing flowers. 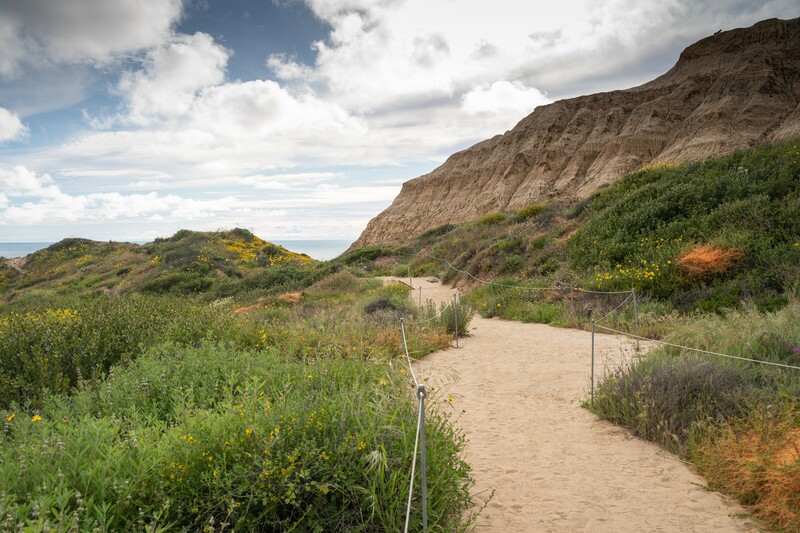 If you miss the super bloom season and are hiking at Torrey Pines I still recommend that you take the Guy Fleming Trail loop because there are some amazing cliffs that overlook the ocean below! If you choose to hike the Guy Fleming Trail, I recomend starting off going right or counterclockwise around the loop. Going counterclockwise builds the views up and the views get better as you go on. 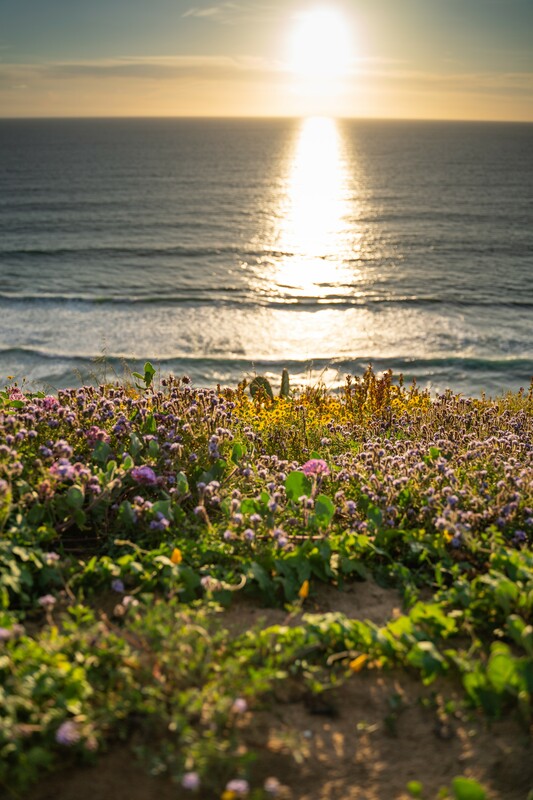 Going counterclockwise starts you off in a more woody section with beautiful yellow flowers and slowly wraps you around until you get to full views of the ocean. 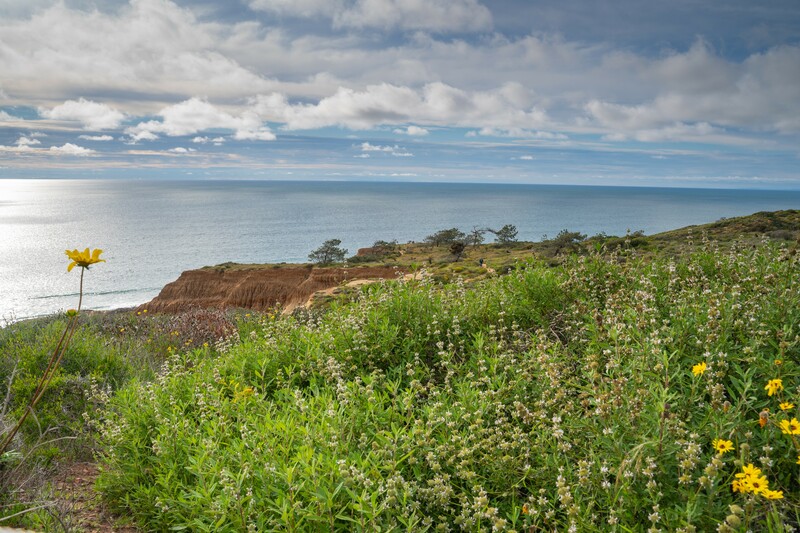 As you come around the turn and first see the ocean there is a great overlook that you can look over the ocean and up North over North Torrey Pines Road. As you finish up the Guy Fleming Loop you will exit back onto Torrey Pines Park Road and continue up the hill to your right. 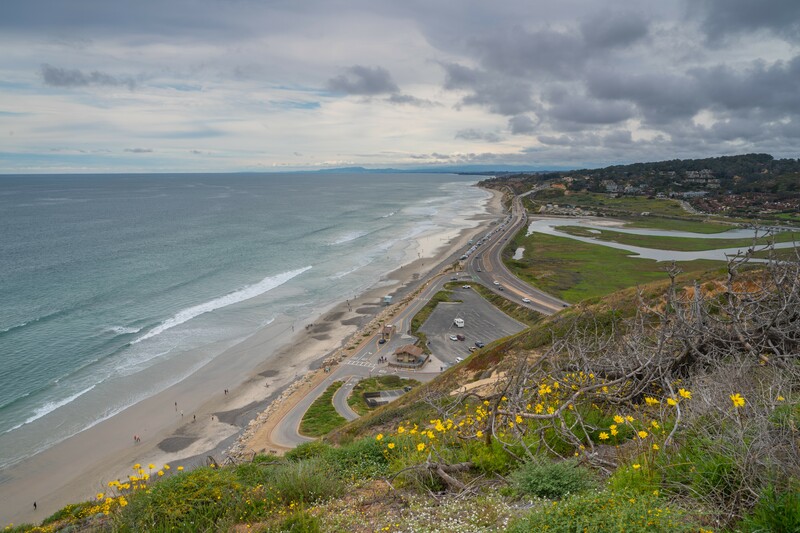 As you continue up the road you will continue to have beautiful sweeping ocean views to your right. I usually continue up the road until you make it to a medium-sized parking lot. 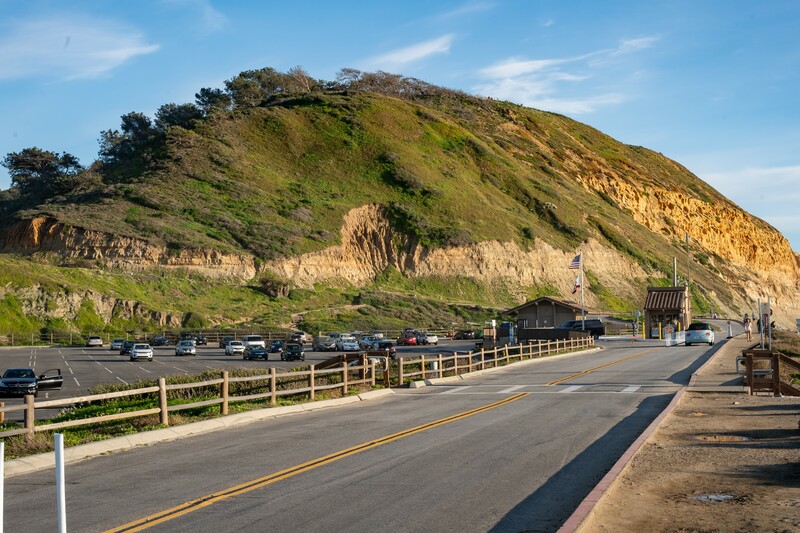 At this parking lot, there are multip trails that head toward the cliffs overlooking the ocean. To get down to the beach from here just follow the trails labeled "Beach." This path slowly winds down to the beach. Most of this section is lightly downhill slopped with a few sections of different degrees of stairs. 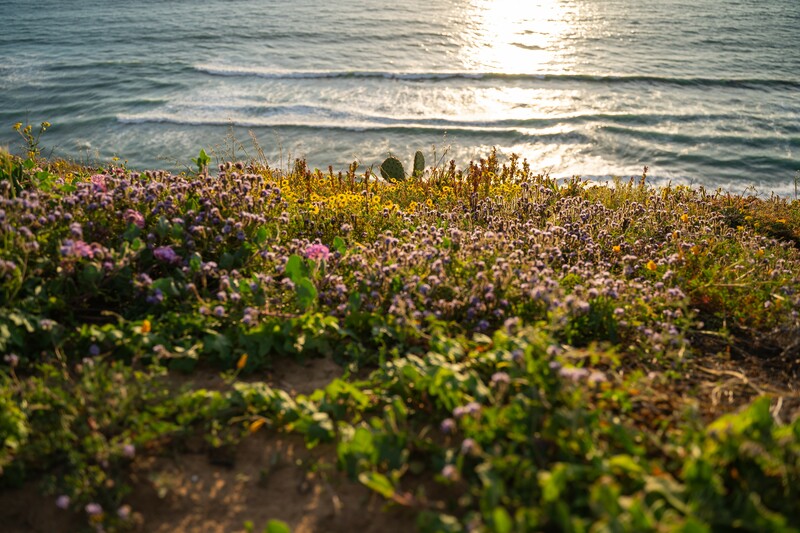 As you slowly approach the ocean cliffs again you walk through a maze of blooming flowers with sporadic cactus. The last part before you get to the beach is a little bit of a winding staircase around large rocks. Be careful the stairs can be slippery due to the ocean mist and sand. Once you get to the beach you have a nice flat walk all the way back to where you started. As you walk along the beach you get to see the amazing beach cliffs you were just hiking on top of, and their true size will finally hit you. They are especially beautiful at sunset and turn a beautiful red. As you hike and admire the cliffs, be careful they do fall and it's more common then you might think. 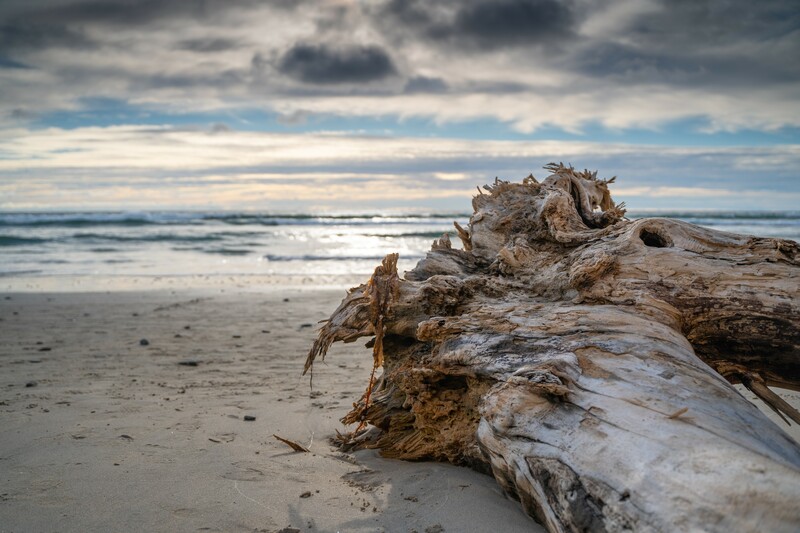 Earlier this year I was hiking along this beach and watch large chunks tumble to the beach below. Luckily no one was in its path that time, so be careful and be aware of your surroundings!